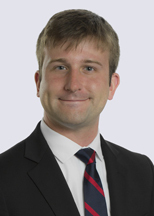 Matthew Radler is a labor and employment attorney who focuses his practice on wage and hour matters and assists in litigating noncompete, trade secret and employment dispute matters. Employees Can Now Legally Inhale… Zero Tolerance Policies Are Safe, But Can Employers Really Exhale? New Paid Sick Leave Laws Take Effect in July - Are You in Compliance?